For those who have color-treated hair, you know how difficult it can be to maintain it. You have to cautious with many of the styling products you use, including shampoos and conditioners. While it’s important to wash your hair to help remove oil build-up and toxins, it can be hard to find a shampoo that works to help protect your color-treated hair while also cleaning it. This article will explore more behind color-treated hair shampoos, why they are ideal to use, and some of the best shampoos for color-treated hair you can invest in. Why Use a Color-Treated Hair Shampoo? A color-treated hair shampoo is designed to be safe to use on dyed hair. It usually contains ingredients like jojoba oil, orchid extract, and peach kernel oil to help with maintaining the color and shine of it. Unlike other shampoos which can strip the hair of its color, color-treated hair shampoos are meant to be gentle on them so the color stays. It can be very difficult to maintain color-treated hair. Because you add these colors on, they can sometimes be easy to strip off, especially if you’re out in the sun or wash your hair often. Sometimes even using the hair dryer or other hair products can be harmful as well due to the high heat melting the color away. Due to this, it can difficult to maintain color-treated hair. It can be difficult to keep color-treated hair looking vibrant. However, with the best shampoo for color treated hair, you can work to help ensure your hair’s color is maintained. Most of these shampoos contain ingredients like jojoba oil and orchid extract to help with this. Some even have UV filters to prevent sun rays from fading your hair. While some of these shampoos do have sulfates in them, many don’t, making them perfect for those with sensitive skin. They are very gentle and will work to hydrate and moisturize your scalp without you having to worry about it causing dandruff or other irritations. Many of these shampoos are very affordable despite containing high-quality ingredients. Many even combine shampoo and conditioner formulas so you get the best of both in one. So, you can easily invest in a bottle without worrying about spending too much. Jojoba oil is a helpful ingredient to have when it comes to color-treated hair. This is because unlike some other oils, jojoba oil works to keep the color in your hair and even give it a stunning vibrancy. Beside this, it also helps to hydrate your hair. Because of this, it’s a good idea to look for it in color-treated hair shampoos. While many color-treated hair shampoos can be used on all hair types, some are only to be used on certain hair colors. For instance, if you have blonde hair, you’ll want to look for a purple shampoo which works to lighten this specific hair color. If you invest in the wrong type of shampoo, it could end up ruining your hair color. Because of this, you’ll want to look closely at the type of hair color it’s meant to be used on. While most of these shampoos are free from sulfates, some aren’t. Sulfates are harmful chemicals that can cause skin irritations and even strip the color from color-treated hair. So, you’ll want to make sure that a color-treated shampoo is sulfate-free. Sometimes UV rays can end up making color-treated hair fade. However, you can prevent this from occurring by looking for a shampoo that has UV filters built into it. These will prevent your hair from fading and work to maintain the color. This option features a tropical coconut and lime scent and can be used on all hair types. It’s free from sulfates ensuring that it doesn’t cause irritations when you put it on. These small bars will even give you up to 80 washes. Not only is this shampoo and conditioner affordable, but it’s made with organic ingredients and will work to thicken your hair. It also helps with moisturizing the scalp and protecting it from UV rays. This drugstore shampoo contains RCT protein complex which helps with keeping your hair roots strong and healthy. It also features soy protein which ensures your hair stays vibrant for up to four weeks when you use this shampoo and conditioner. This shampoo by Maple Holistics helps with thickening fine color-treated hair by encouraging circulation in the scalp. It’s safe to use on sensitive skin and also contains tea tree oil to help with hydration. The Thermafuse Shampoo and Conditioner is ideal for those who have red hair. This fruity-scented option will protect the hair from harmful UV rays and prevent your hair from fading. 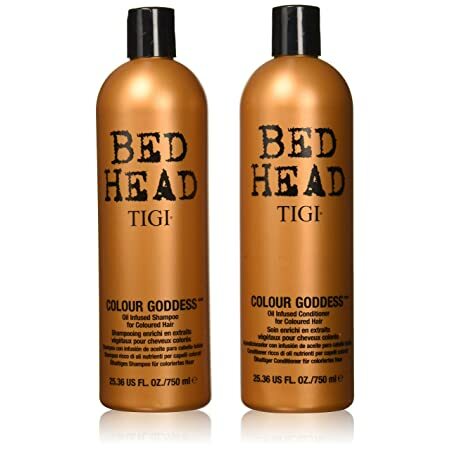 The TIGI Cosmetics Bed Head Shampoo will work to give your hair incredible volume thanks to its ingredients like jojoba oil. Besides this, the shampoo also helps with giving your hair a smooth look. The ArtNaturals Organic Conditioner is our pick for the best shampoo for oily color treated hair. Not only will it get to work removing a build-up of oils and toxins on your hair, but keep it hydrated as well. It also helps to thicken your hair and make it shiny. 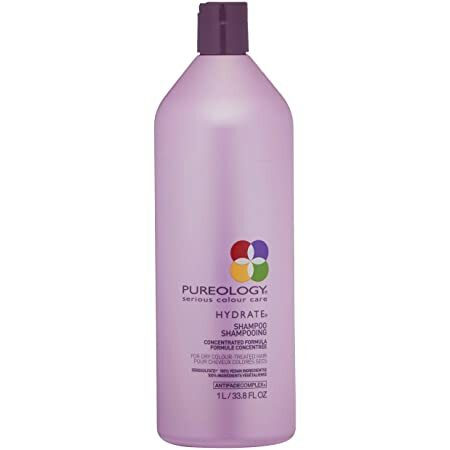 The Purology Hydrating Shampoo comes in a pink 33.8 oz. bottle and works to hydrate your hair. Its formula ensures that it doesn’t strip the color from it and adds a beautiful shine to it. This sulfate-free shampoo is vegan and contains ingredients such as sunflower seed extract and jojoba oil. However, the formula is a little runny so you should only use a small amount of it. It also happens to be a bit pricey, so if you’re on a budget, this might not be the best choice. The BIOLAGE Colorlast Hair Shampoo is an affordable option that works to give your color-treated hair tone, volume, and shine. Its formula is made with a low pH so it doesn’t cause more problems to your scalp, like hair loss. Mixed into the shampoo is orchid extract which helps with hair growth and removing toxins from your scalp. This extract also prevents your color-treated hair from fading. However, keep in mind that this shampoo isn’t the best with hydration. This shampoo by B UNIQ comes in an 8.5 oz. bottle and is designed to be used on blonde hair. 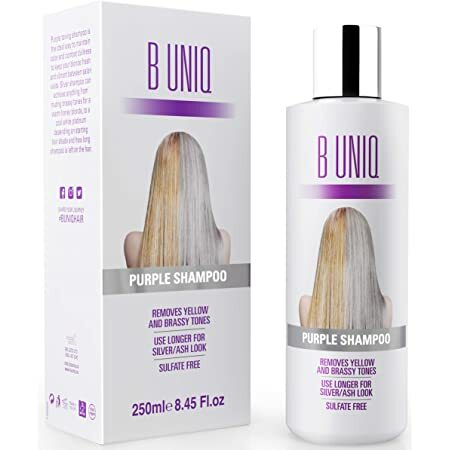 This purple shampoo comes with a violet pigment which helps to remove brassy tones in the hair and instead give it vibrancy. This sulfate-free choice is ideal for bleaches and highlighted hair and comes with UV filters which can stop your color-treated hair from fading. This vegan shampoo also comes with gloves you can use to massage it into your hair. These shampoo and conditioner bars by Sweet & Sassy can be rubbed into your hair to help keep it hydrated and the color vibrant. 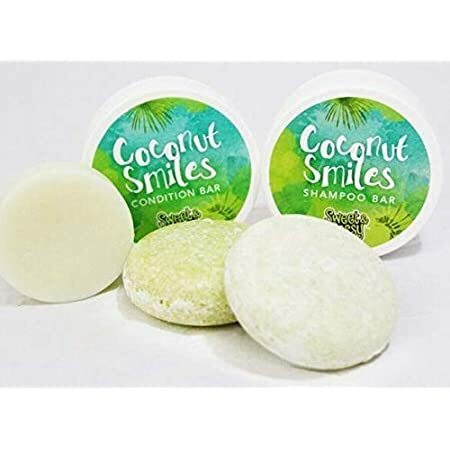 This product comes with two shampoo bars and one conditioner bar which weigh 2.2 oz. each. They can be used on all hair types safely and are sulfate-free. They can also be used up to 80 times before you need to replace them. However, you do need to keep the bars in a safe place, such as a soap dish, to help with preventing it from drying out. 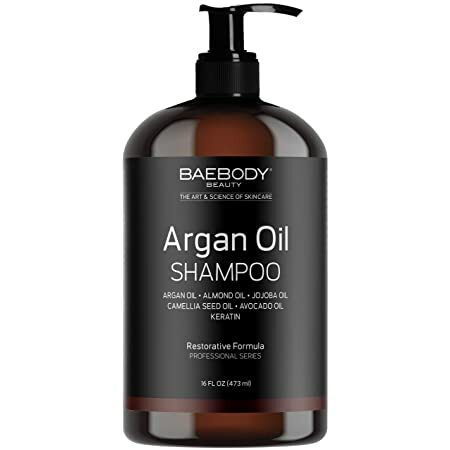 The Baebody Argan Oil Shampoo comes in a 16 oz. bottle that features a pump on the top. This dandruff shampoo for color treated hair is safe to use on color-treated and curly hair. 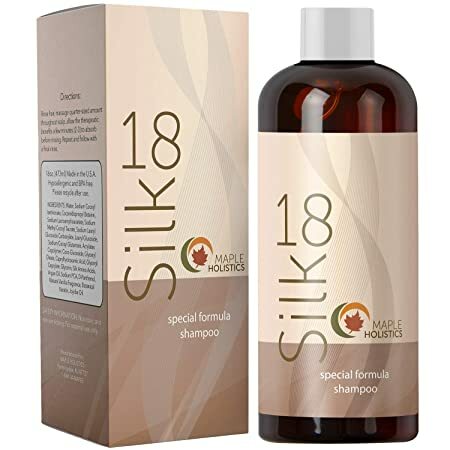 Besides high amounts of argan oil, this shampoo also contains keratin, Vitamin E, camellia seed oil, and avocado oil to help with giving volume to your hair and moisturizing it. The shampoo also helps to soften your hair. This shampoo is a bit watery though so you’ll need to be careful when pouring it out. 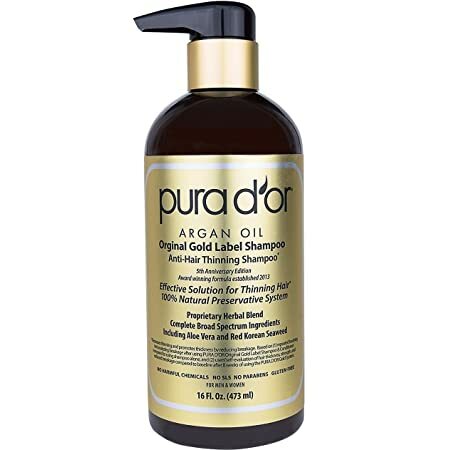 This argan oil shampoo by PURA D’OR is filled with argan oil, biotin, and cedarwood bark oil. These ingredients help with hydrating the scalp and are very gentle so it’s safe to use on even the most sensitive of skin. They can also work with strengthening hair and giving it volume. 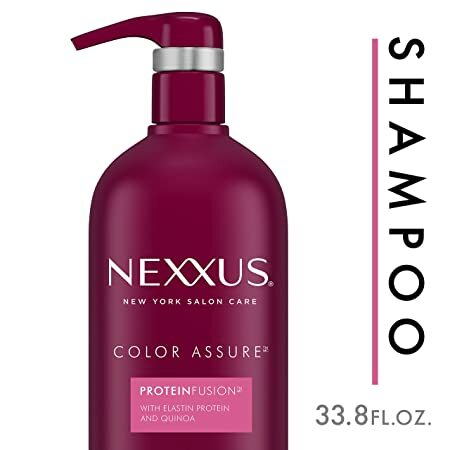 This clarifying shampoo for color treated hair doesn’t contain sulfates and parabens and comes with a pump on the top of it to help with making it easier to use. 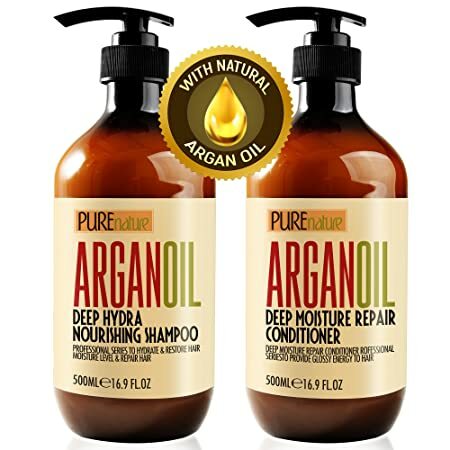 The Pure Nature Lux Argan Oil Shampoo and Conditioner is an affordable option that comes with a pump on the top of the bottle. This organic shampoo and conditioner is SLS-free and works to moisturize your scalp. It can also thicken your hair and give it volume. 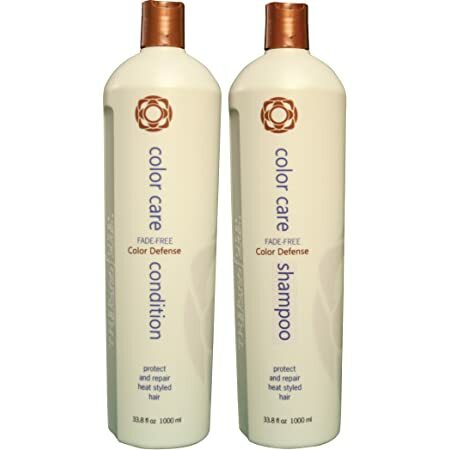 The shampoo is safe to use on damaged, curly, and dry hair in addition to color-treated hair. It also contains UV filters to help with preventing your hair color from fading. This all-natural shampoo by Maple Holistics is good to use on both normal, dry, and color-treated hair. It contains high amounts of jojoba and argan oils as well as keratin amino acids. The shampoo also prevents frizz and split ends from occurring and has a soft vanilla scent. This cruelty-free option is also safe to use on sensitive skin without fear of it breaking out. The ArtNaturals Organic Conditioner comes in a 12 oz. bottle that features a pump on the top. It can be used on dry, curly, and color-treated hair. This leave-in conditioner is sulfate-free and contains high levels of argan oil which has Omega-6 fatty acids in it to help with hydration. In addition to this, the shampoo can prevent hair loss as it encourages circulation in the scalp and removes harmful oils on your hair. 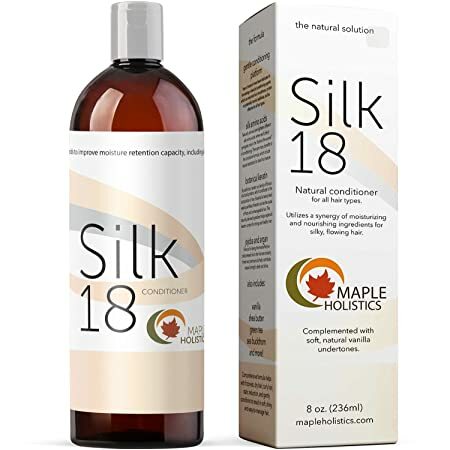 The Maple Holistics Silk18 Conditioner is an affordable option that comes in an 8 oz. bottle. It contains 18 amino acids to help with hydrating your scalp as well as green tea extract, shea butter, and argan oil. You’ll also find soothing jojoba oil and keratin mixed into its formula. This sulfate-free conditioner is also helpful to use on dry hair. 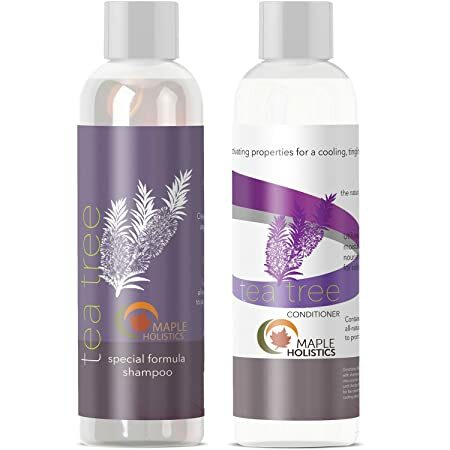 This shampoo and conditioner set by Maple Holistics are packed with tea tree oil which is known for removing harmful toxins from the scalp and hydrating it. This option is anti-dandruff and contains high amounts of amino acids to help with hair growth and adding a shine to your hair. This sulfate-free option is also safe to use on sensitive skin. 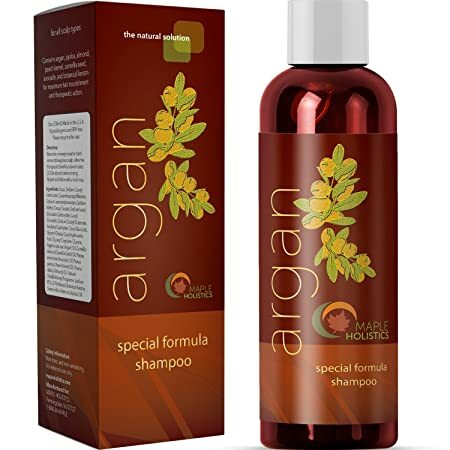 The Maple Holistics Argan Oil Shampoo comes in a vibrant 8 oz. bottle. It contains large amounts of argan oil, jojoba oil, almond extract, and peach kernel extract to help with hydration. You’ll also find Vitamins A and E in it as well as silk proteins which can help with giving your hair a stunning shine. 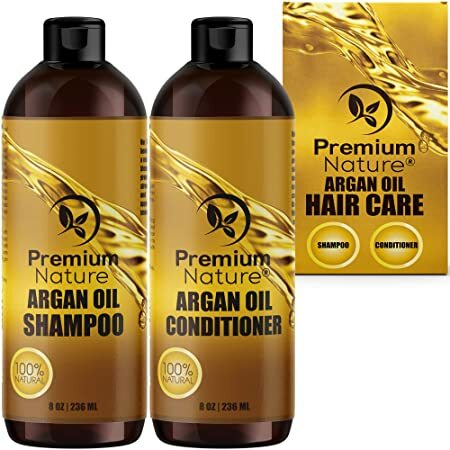 The Premium Nature Argan Oil Shampoo and Conditioner comes with two 8 oz. bottles that work to repair your hair and give it hydration and shine. The shampoo and conditioner contain argan oil, almond oil, and avocado oil to help with this. This option is very gentle to use making it safe for those with sensitive skin. While it can be used on all hair types, it’s ideal for blondes and brunettes. 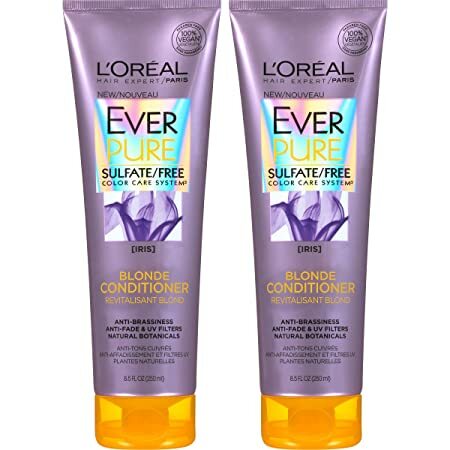 The L’Oreal Paris Blonde Hair Conditioner is an affordable option designed for those who have blonde-colored hair. This product comes with two bottles and is made with a sulfate-free formula. Filled with vitamins and minerals, this hair conditioner will give your hair volume, hydration, and make it frizz free. It also has anti-fade and anti-brass components so your hair’s color stays vibrant. There is also iris botanical fragrance added to it. This shampoo by TIGI Cosmetics comes with two 25.4 oz. bottles. The shampoo works to make your hair vibrant, smooth, and shiny thanks to the oils and vitamins mixed into it. This product also will prevent breakage and split-ends on your hair and keep it free from toxins. However, this product does contain small amounts of sulfates. 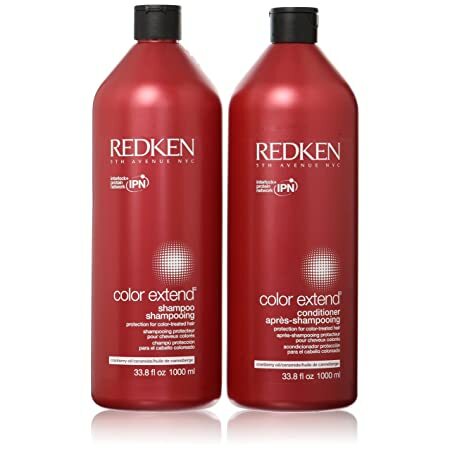 The Redken Shampoo and Conditioner comes with a shampoo and conditioner bottles which weigh 33.8 oz. each. 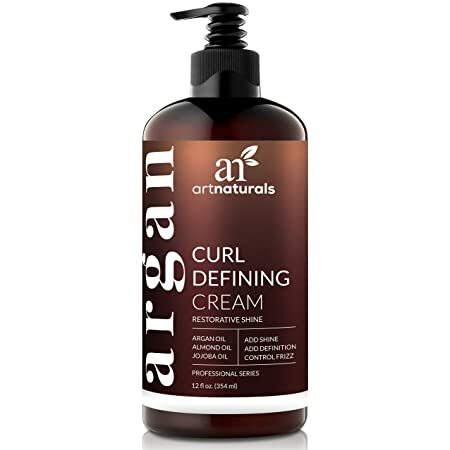 This sulfate-free product contains a RCT protein complex which ensures the formula goes to your hair’s roots so the color stays and your hair is hydrated. It also has soy protein mixed into which helps with moisturization. In addition to this, this shampoo and conditioner work to guarantee your hair has four weeks of stunning vibrancy. 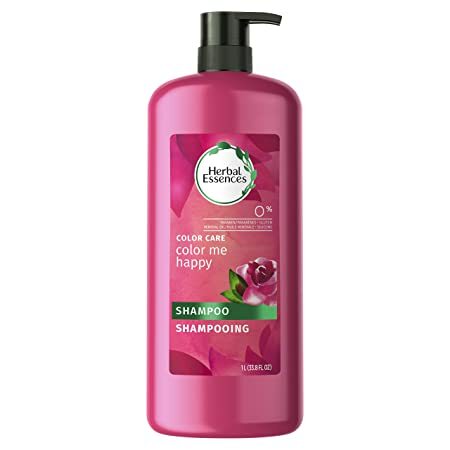 The Herbal Essences Color-Treated Hair Shampoo comes in a 34 oz. bottle and is a very affordable option. On the top of this bottle is a small pump to help make it easier for you to release the shampoo. The shampoo has a rose scent and is very gentle on your hair as it contains no chemicals. This makes it ideal to use on sensitive skin. It also has a pH balancing formula so your hair stays clean and healthy. This 34 oz. shampoo pump bottle by NEXXUS contains many helpful ingredients so your hair shines and stays healthy. You’ll find white orchid extract mixed into it which helps with hydration and giving your hair a nice smell. It also has ProteinFusion which contains elastin protein and quinoa to help with keeping your hair roots strong and the color vibrant. Besides this, the shampoo also has a slight conditioner built into it so you don’t need to worry about buying a separate bottle. This bottle will give you up to 40 washes. The Keratin Complex Shampoo and Conditioner comes in 34 oz. bottles with pumps on the top. 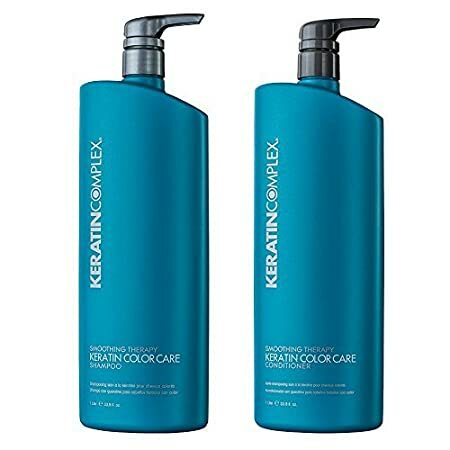 These sleek blue bottles contain a gentle formula that can be used safely on both color-treated and keratin-treated hair. The formula will also work to hydrate your hair so it stays soft and shiny. However, this product does contain sulfates. This shampoo and conditioner set by Thermafuse come with two 33 oz. bottles that are filled with a sulfate-free formula. Ideal for redheads and brunettes, this product will work to brighten your hair and seal the cuticle to prevent split-ends. It also has UV filters built into it to protect your hair from harmful sun rays and can even detangle your hair when necessary. 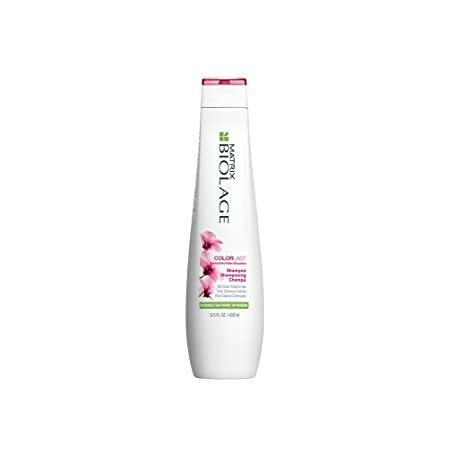 This product also helps to prevent your hair’s color from fading and has a soft fruit fragrance. Keep in mind that for best results though, you need to leave it massaged into your hair for about one minute. While it might seem like it’s hopeless when it comes to finding a shampoo that helps to protect your color-treated hair, it isn’t. The products mentioned above are some of the best to consider using as they will not only protect your hair, but give it vibrancy and hydration without stripping it of its color. So, if you’re on the search for a color-treated hair shampoo to use, definitely keep the information and products mentioned above in mind.